Honda is among the most popular automotive brands in the country and beyond, and many of your customers may be loyal to the brand itself. Others, however, may actively be deciding between two or more brands. They may be comparing various models of vehicles, reading consumer reviews and researching prices and warranty information in an effort to find the best overall vehicle for their needs and budget. 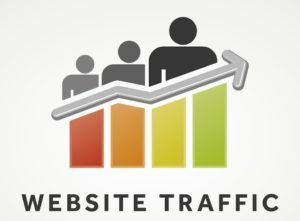 You may fully understand the importance of driving online traffic to Honda websites, but the fact is that there is more to executing a great online marketing plan than simply bringing traffic to your website. Customer Scout INC is focused on providing superior Honda SEO to dealers like yours. By learning more about SEO for Honda dealers, you may learn more about the services can help you to improve market share and boost sales. Customer Scout Honda website SEO serving Denver, Detroit, Phoenix, Portland, Charlotte, Seattle, Las Vegas, Houston, Dallas and across the country. Selling Vehicles Online l Website Search Engine Optimization – Customer Scout INC. Many Honda websites already use SEO for Honda dealers to bring traffic to them, but this type of SEO is not enough. There are essentially two primary decisions that car buyers make when researching options online. First, they are deciding whether they want to buy a Honda model or another model. Second, they are deciding which dealer to visit to make their purchase. Because of this, Honda SEO first needs to focus on selling the vehicles against competing models. SEO services provided by Customer Scout INC may include online marketing efforts off of your dealer website that highlight the key features of your models against competing models. These are strategically placed marketing pieces that are easily located by search engines. For example, someone may search for the best mid-sized sedan or the safest mini van, and Honda SEO can distribute marketing information to your target audience to showcase your vehicles in the best light. In addition to selling your specific models of vehicles, it is necessary to drive traffic to your website. When the initial effort of selling your vehicles is accomplished through SEO for Honda dealers, the traffic that visits your website is typically already sold on your vehicles. They may only be trying to decide where to make their purchase. There may be several competing Honda dealerships in your local area, and some buyers may be willing to drive to nearby cities in order to get the best deal or the best experience from their purchase. After all, a vehicle purchase is a rather large one, and customers who perceive value by driving an extra couple of hours may be considering the level of service and the ability to get the best deal at various dealerships in your region. Effective SEO may be used to highlight the best selling points of your dealership, such as stellar customer service, the ability to beat any other dealer’s offer and more. Customer Scout Inc is focused on helping you boost your market share with tremendous results. To earn market share, you must compete against other manufacturers’ models as well as other dealers that sell Honda vehicles. Search engine optimization services from Customer Scout are so effective for your dealership to use because they focus on both key aspects of the online selling process. Your website may use SEO to drive traffic to it, but it may not include online marketing efforts that take place off of your website. A strategic, targeted approach with efforts on your website as well as in off-site locations is critical to enjoying the best overall results from marketing. Consumers today use the Internet to research and compare different makes and models of vehicles, to find the features they are looking for and even to find the best deal on their vehicle. They may also use the Internet to compare dealerships to determine which one to visit when they are finalizing their buying plans. If you have not been pleased with the results of your own search engine optimization marketing efforts for your Honda websites, you may consider reaching out to Customer Scout for further assistance. Customer Scout INC understands what it takes to help you see the results you want, and the team is ready to begin working for you. Customer Scout INC award winning services for dealers in Denver, Detroit, Phoenix, Portland, Charlotte, Seattle, Las Vegas, Houston, Dallas and across the country.